As a transportation manager, you know better than most how turnover can negatively impact business. The trucker job turnover rate is just like any other position. However, it’s one thing to know there is a problem and a completely other to employ solutions. There is a growing list of ideas and recommendations for employee retention. Many of those ideas are good, but many lack one essential element - they are not what your drivers want. From a driver’s standpoint, money isn’t always king. Most drivers want a better work-life balance. They want to watch their kids little league games and be home for holidays, birthdays and anniversaries. They want to have provisions for time off to a vacation down the coast of California or a road trip exploring the Gulf Of Mexico. That’s not to say that companies can pay your drivers pennies on the dollar, but to have a truly functioning retention program more than just the paycheck must be considered. 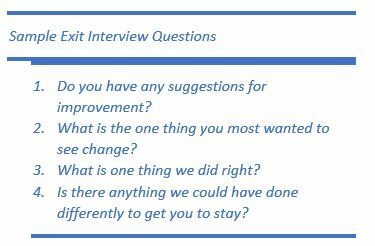 One way to work on an effective retention program is to conduct exit interviews. These can help you determine where you might be going wrong. However, you have to be open to honest feedback, even if it is unpleasant. Too often, departing employees hesitate to be honest because they worry about burning bridges. It causes them to hold back on helpful feedback. To counteract the hesitancy, assure the driver that nothing said will be used against them when providing employment verification details (and then make sure you are not holding it against them). Another option frequently discussed is using a follow up online survey (i.e. Survey Monkey). These surveys can be designed to be anonymous, making the former employee more willing to open up. When you receive feedback, act on it, whether it is positive or negative. When you receive positive feedback make sure your management staff know what they are doing right. Then view negative feedback simply as an opportunity to grow and improve. Conducting exit interviews can really help you find out what your drivers want to see at work. Did your driver just return from vacation in Texas? Ask them how it was, where they went, or why they chose that locale. Ask if they have any pictures from the trip. On Monday morning, ask another driver how their weekend was. Did they get to do anything extra fun? This process is not just about asking questions. You have to actually listen to the responses. Have a conversation. Just smiling and nodding isn’t going to make your drivers inclined to talk to you and open up. However, when you have an honest to goodness back-and-forth conversation, your drivers are going to warm up to you. 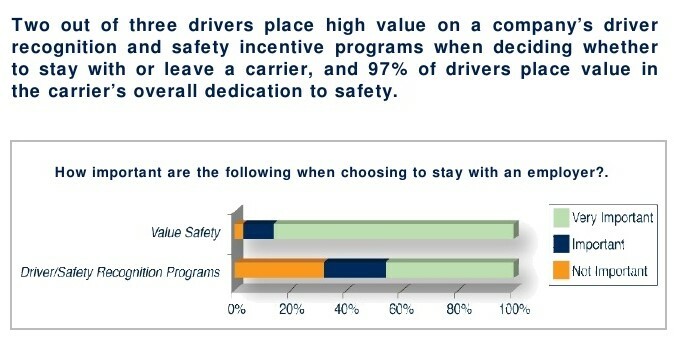 And drivers who feel part of the company family are much more likely to stay. Do I Complain About Anything? Every single company in the country has that one employee who complains about everything and anything. A manager may not necessarily be talking about dealing with those types of complaints. Rather, they may be dealing with complaints from a 25+ year driver who comes to work and does his job day in and day out all of the sudden begins complaining about truck maintenance, or load condition, or other similar circumstances. Take these complaints seriously. Ask the driver to take you to the problem and point out exactly what is wrong. Follow up with the right people. If it is a truck maintenance problem, talk to the mechanics, figure out a plan to resolve the issue. And then, follow up with the driver. Give the mechanic approximately a week to get things sorted out and then talk to that same driver and ask if things are improving. Without the driver follow up, it's almost a guarantee s driver will automatically assume that their company don’t care and that they are not going to do anything about the problem. Making a quality employee feel that enough times and will stop them from complaining and will help them begin interviewing. I would be blatantly lying if I said drivers weren’t concerned about money and fringe benefits. Of course they are, they have families to support after all. Is your compensation package competitive to similar companies? Does your company offer anything other area trucking operations don’t? Do you promote guaranteed home time, higher 401k matches, HSA contributions, paid sick hours and other perks? Do you offer any retreat time at a location in Florida? If you want to retain your drivers in the long-term and try and avoid the process of unionizing, take care of them monetarily. Think long-term. Drivers with retirement packages are more likely to stay with you rather than job hop. From my days in short-haul trucking, I can unequivocally state that the single biggest complaint was being in a different truck each and every day. Our drivers were assigned trucks, but they were never guaranteed to get them. I personally thought assigning trucks was silly since we had no intention of ever guaranteeing them that rig on a regular basis. A company can’t promise their drivers something and then never deliver. And driver’s want the same truck every run. That unit is an extension of them. Drivers learn the idiosyncrasies of a truck and know how to work with them. In many cases, a truck becomes their home for the duration of their run. They need to be able to make it theirs. There are, of course, circumstances beyond everyone’s control, but if you make a concerted effort to always give them the same unit, a driver's happiness will soar. It's important to have a fluid training program in place. Just because these employees hold Class A licenses does not mean they keep up with the latest D.O.T. changes. Make sure you have an effective way of communicating regulation changes. And if there are significant changes, such as when CSA went into effect, give your drivers the tools they need to be compliant. Provide notice of change well in advance. If the hours of service rules are changing on January 1st, a carrier receives notice about it in July. Start talking about it with your drivers six months prior to the change occurring. Make sure dispatch is in the loop so that they can change runs accordingly. Don’t wait until the weeks leading up to inform drivers about changes or implementation of a new system. You Want Me to Go Where, When? Working with dispatch is key to ensure routing runs efficiently. Simply because the computer routing system says you can do something doesn’t mean it’s going to happen that way. An effective retention program does not often include unilateral decisions in routes or in other matters. Work alongside a your dispatch and management teams to ensure drivers are treated well through these routes. I remember when our dispatch used to send drivers to downtown Chicago and tell them there was no good reason they couldn’t turn that route every day. Of course, they weren’t taking into consideration the fact that the routing software had the driver running at 55 m.p.h. in between all stops. So a stop that was 10 miles away would be listed as being able to be delivered 11 minutes after leaving the first stop. Downtown Chicago has traffic - a lot of traffic, perhaps the most in Illinois. There are more one-way roads that you count, and the top speed limit clocks in at around 30 m.p.h. So that 11 minutes it was supposed to take to arrive is now 30 minutes. But wait - there’s more. You get to the stop and there is no dock, so you have to unload off the back of the truck. This situation doesn't even account for the issue of parking with requires the driver has to walk each load off the truck nearly three blocks. That 30-minute stop is now 90 minutes. The driver is now an hour behind, the remaining stops are upset at the untimeliness and he’s not making it home tonight as expected. Is this scenario seems overly dramatic, situations similar to these have happened to many while managing drivers. If you aren’t familiar with a run, talk to the driver who makes the run. Or, better yet, get in the truck with your driver and see for yourself what they encounter. Find ways to optimize routes for drivers so that they not only know what to expect, but feel as though some level of personal regard and thoughtfulness has been issued towards them. What your drivers want isn’t extreme or improbable. They want to be treated like human beings who have families and lives outside of work. They want to be paid according to the work they do. They want to be recognized as knowing what they are talking about. The list isn’t very long. Drivers, in whole, are an amazing group of men and women who give so much of their personal lives up so that everyone else can just run down to the local store and pick up a bag of flour. With the number of trucking job offerings increasing daily, it is important that you are proactive in dealing with problem. Recognize issues before they happen, and head them off at the pass.